This study has 10 sessions, incorporating an introductory session and 9 lessons. 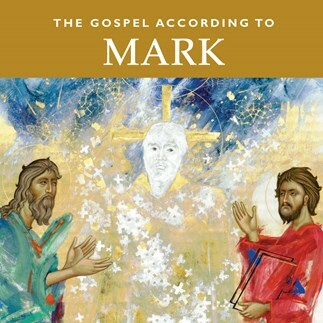 The Study Set includes the Study Guide by Little Rock Scripture Study Staff and the New Collegeville Bible Commentary The Gospel According to Mark, by Marie Noonan Sabin (Liturgical Press). Marie Noonan Sabin, Ph.D., has taught the Gospel of Mark at Bangor Theological Seminary; an earlier book on Mark, Reopening the Word, was published by Oxford University Press in 2002. The shortest of the four gospels, Mark is the earliest account of Jesus' life. With no mention of Jesus' infancy, Mark begins with Jesus' baptism in the Jordan by John and climaxes with the announcement of his resurrection to the women at the tomb. Mark asks everyone to answer Jesus' question, 'Who do you say that I am?' and challenges believers in every generation to accept the harsh reality of the cross. Mark, along with Matthew and Luke, is one of the synoptic gospels. It is the primary gospel of year 'B' in the Catholic Church's liturgical cycle. These lectures correspond to the ten sessions outlined in the Study Set for The Gospel According to Mark.